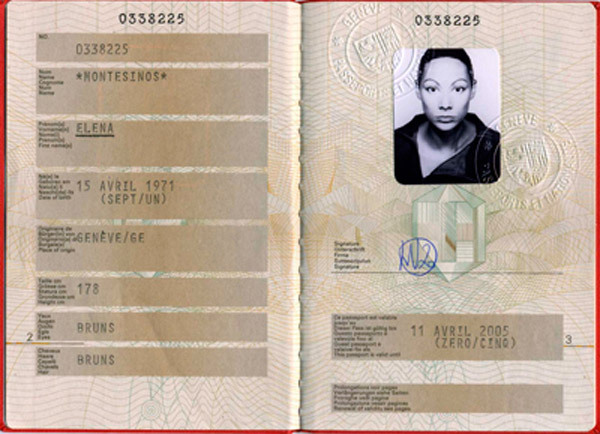 Swiss Passport with a modified morphing photo. This portrait has been obtained by assembling two identical halves of the face, with a mirroring symetrical effect. This passport has been used during 6 years all over the world to prove the unaccuracy of security systems.